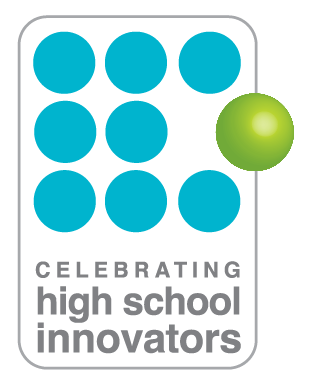 April 26, 2017- In recognition of high school students whose ideas and accomplishments are inspirational, Illinois State University, Millikin University and Pontiac Township High School are partnering to present the 3rd annual Celebrating High School Innovators Competition (CHSI). The competition identifies, fosters and celebrates high school innovators in the state of Illinois whose contributions are exceptional. High school students in Illinois, entering grades 9-12 for the 2017-2018 school year, who have implemented innovative ideas are encouraged to apply starting May 1, 2017 by completing the online application at //chsinnovators.org/apply/. The competition is endorsed by several Illinois teachers associations, the regional superintendents of schools, and the Governor’s office. In the first year of the program (2014-15), students from around the state were recognized in a variety of areas from entrepreneurship to fashion design, and were awarded with $500 as a result of their innovative achievements. Students may apply under one of five categories: Arts, Media & Literature; Business Entrepreneurship; Health & Nutrition; Social Entrepreneurship; and Science, Technology, Engineering & Mathematics (STEM). Applicants compete in four rounds of competition, with final awards given for five $1,000 cash prizes and university scholarships. The following is a schedule of events for the 2017-2018 Celebrating High School Innovators Competition. A one-day Mentoring Workshop where students will learn personal branding, video editing, and create a proposal of their innovative ideas. All CHSI applicants are invited for a day of innovation and mentorship on Millikin’s campus. Coinciding with the StartUp Showcase, the top 50 applicants are invited to participate in mentoring workshops and networking on Illinois State University’s campus. The top 30 applicants are invited to Millikin’s campus for a day of mentorship. Special workshops will be provided for high school teachers. The High School Innovation Grant will be announced and awarded. The top 30 applicants participate in a final display of their innovations and are interviewed on Saturday. The top ten finalists will be announced at 8:30 a.m. on Sunday morning, advancing to a live “shark tank” competition. These finalists compete for five $1,000 cash prizes and university scholarships on Sunday afternoon. For more information about Celebrating High School Innovators Competition and to apply, visit //chsinnovators.org/.